In celebration of America Recycles Day, the ExxonMobil Houston Campus and Harris County Improvement District No. 18 will be holding a collection of electronics, paper for shredding, batteries, bras (to recycle into carpet tiles), thin plastic films, cork, eyeglasses, and bottle caps. The collection is open to everyone in the Springwoods Village community. 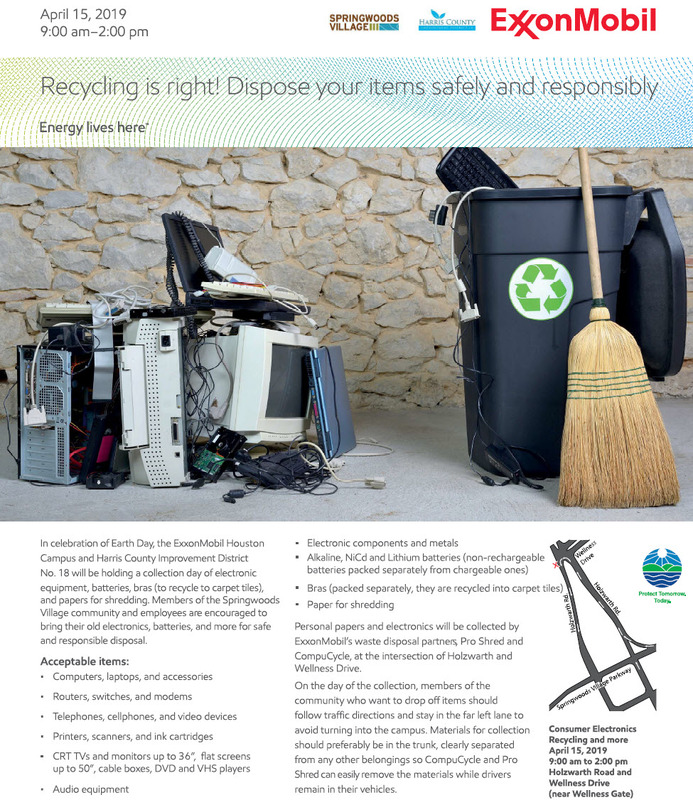 Take advantage of the opportunity to dispose of many items safely and responsibly.